As the sun rose, its rays traveled across the room to Arwen’s sleeping figure. She had fallen asleep fully dressed after a long, exhausting day. As the inside of her eyelids turned red from the light, she awoke with a start, turning toward the door. Last night’s scare, filled her mind again. She got up, rubbing the sleep and fear from her eyes. She must have imagined the strange sound last night. Time for a shower. The shower sprinkled water on Arwen’s head, but that was about the extent of its purpose. The water was brownish and lukewarm, and the pipes made a racket when she turned the faucets. But it was her shower. Not some public park shower. Her shower. Realizing she didn’t have any towels, Arwen dried herself with her sweater, then put on her dirty clothes again. Note to self, she thought, find a laundromat. And a second hand clothes store. Although most of her fear had evaporated in the daylight, she was cautious when she stepped out onto the porch. Her wet hair dripped cold down her back under her sweater and she shivered. She hopped on her bike and wound her way downtown, looking for a clothing store. The wind dried her hair and sweater, but she still felt pretty ratty. She turned a corner and rode along Central Park. They were setting up for the Summer Festival. That could be fun… The aroma of fast food drew her in. She realized she hadn’t eaten in a day. “Well, we have a few items for $5…” The concession stand lady pointed to the items on the menu. Arwen asked for coffee. 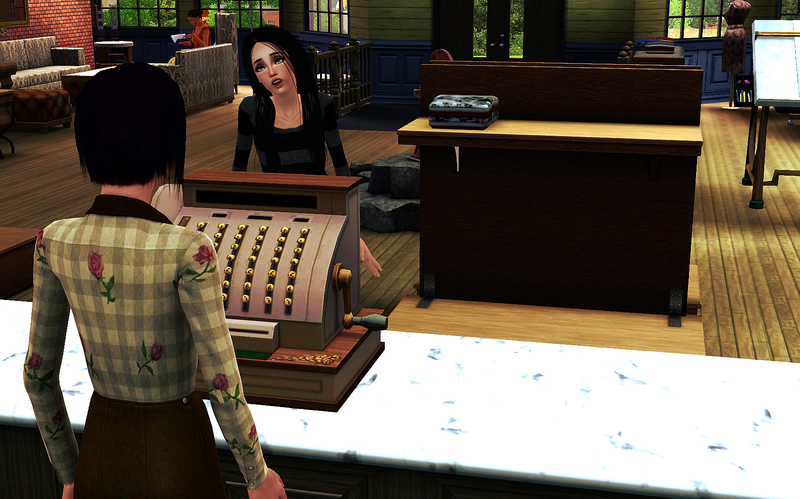 The lady asked if she was new in town, trying to make friendly conversation, but Arwen paid and thanked her, walking away. As she slurped the coffee down, she looked around at the shops and buildings surrounding the park. Everything looked so expensive… She asked around and a man suggested the Sell n’ Swap before lifting his nose and scurrying away from her. Embarrassed, Arwen started to walk toward the consignment store, picking up seeds on her way. Arwen looked through the used clothes rack… These were mainly men’s clothes. Nothing to fit her small frame, especially after losing weight from stress these past few weeks. She felt embarrassed having to shop here at all, but the shame of wearing filthy clothes every day trumped that. Steeling herself, Arwen strode across the room to the cashier. The lady eyed me up and down critically, sizing me up. Mortified, Arwen followed the cashier as she was presented with blouses and dresses and trousers. As she got on, they both became bolder. Arwen was even convinced to wear a colourful top, even though it felt strange for her. When the lady offered pants and skirts, though, Arwen drew the line. She felt comfortable in jeans and was no girly girl. She tried on different shoes, sandal wedges, peep toes, but none of them felt like her. And none of them would be practical riding her racer. “Alright, then. Maybe I can convince you to purchase this dark teal bikini? It was made to enhance your gaze.” the cashier suggested with a small smirk. Arwen couldn’t tell if the lady was amused or mocking her. Arwen examined the bikini, holding the fabric to the light and touching its texture. Sold. Yeah, she might not eat for a few days because of it, but it was so gorgeous! Sold. The cashier, encouraged, fetched a hairbrush and started to untangle Arwen’s hair. Or try, anyway. Arwen’s face contorted, but she refused to cry out in pain. 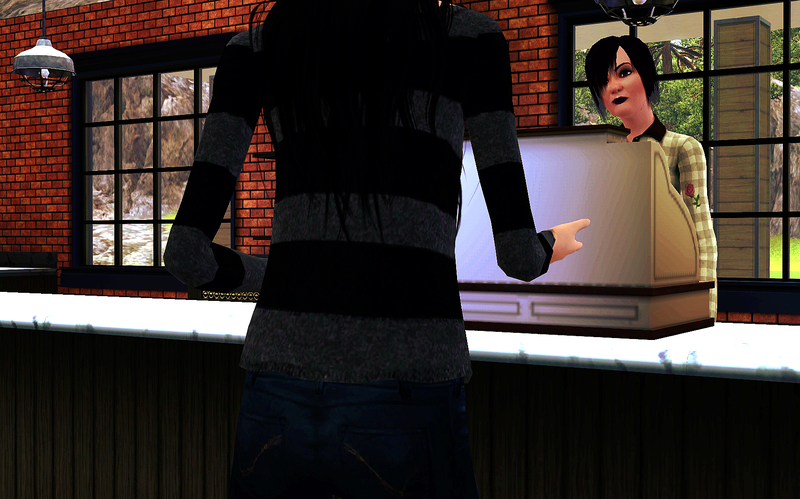 After some more gussying and fussing, Arwen gazed at herself in the three-way mirror and nodded approvingly. Arwen nodded, counted the bills and paid the cashier. Stepping out of the consignment store, she felt vaguely human again. Though Arwen missed the itch of her wool sweater, the silk blouse breathed so much better under the hot summer sun. As she relished the breeze in her freshly brushed hair, she glanced across the street. There appeared to be a concert stage. Arwen crossed the street and nodded a greeting to the a man standing on the stage. He turned fast in surprise. When he saw her, a grin softened his features and he shook Arwen’s hand warmly. “Arwen? That’s an unusual name… but pretty. I’m Hank, please to meet you.” As he said this, he took her in with his eyes, though not rudely. The two chatted for a bit. 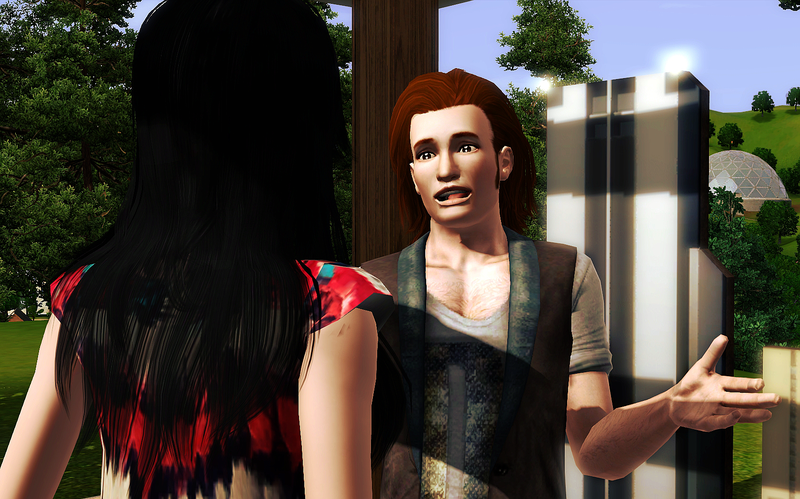 Arwen learned that Hank worked in the music industry and she asked him if he was throwing any rock concerts soon. “Sure, thing.” She grinned and waved him goodbye. Arwen rode home, musing about the possibilities for her in this new town. As she kicked the stand under her bike, she glanced at her mailbox. The red flag was up. She paused, hesitating. Then she shook her head… She was being silly, right? 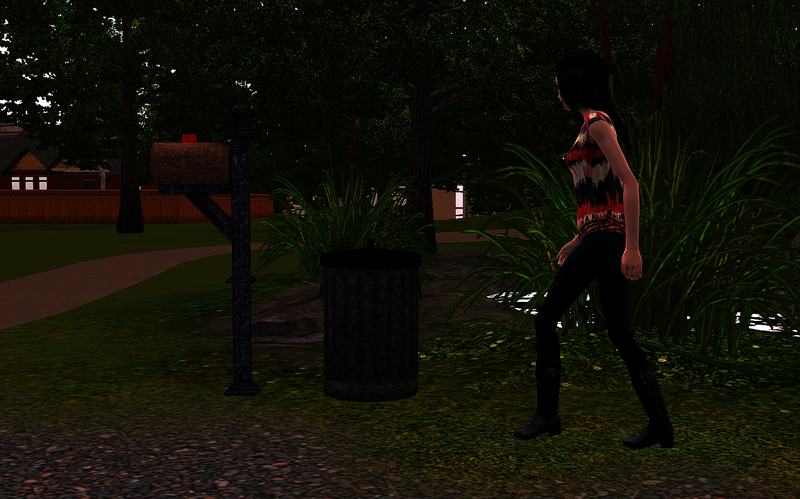 She opened the flap and peered inside the mailbox. There was a long, narrow package inside, wrapped in newspapers and tied with a no-nonsense hemp string. She reached in and pulled the package out. Aww, I like her new look ^_^ she’s so pretty. OoOOoo she met someone? He’s cute, I hope they become friends or something so she isn’t so lonely anymore. Oh, and I like her new look. I love her new look, although I would have slapped that lady when she told her they also sold hairbrushes. LOL. She is very pretty with her new look. I wonder what’s in the package!